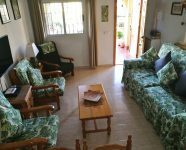 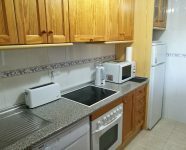 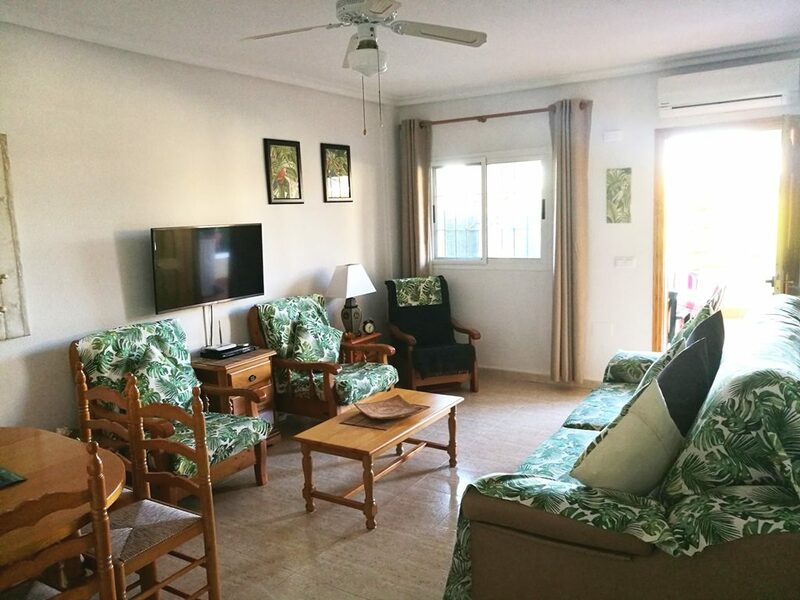 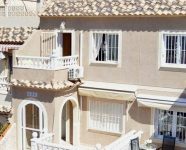 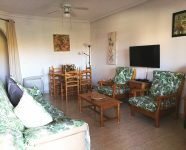 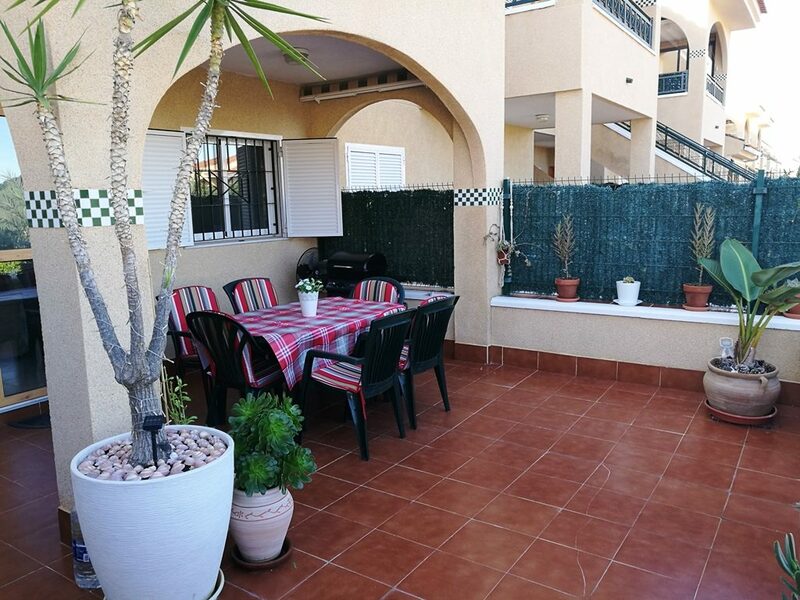 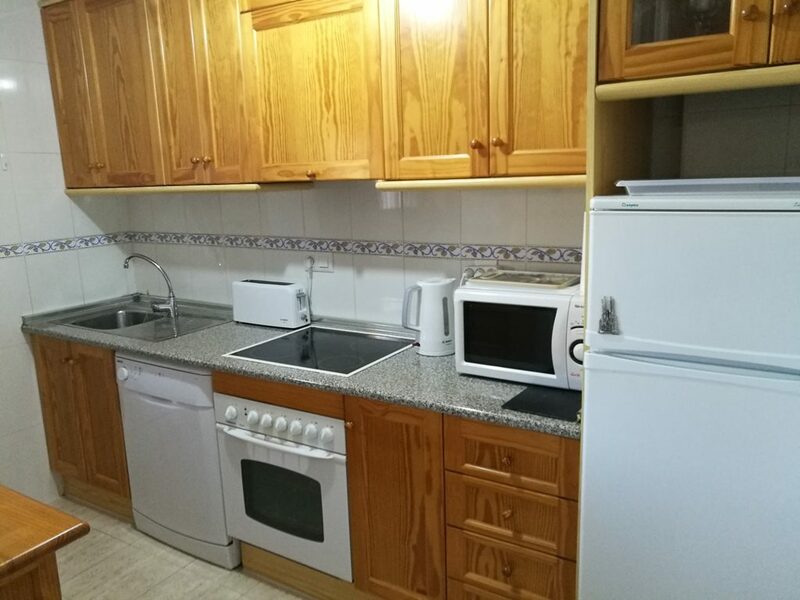 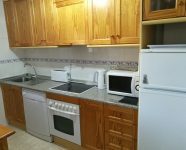 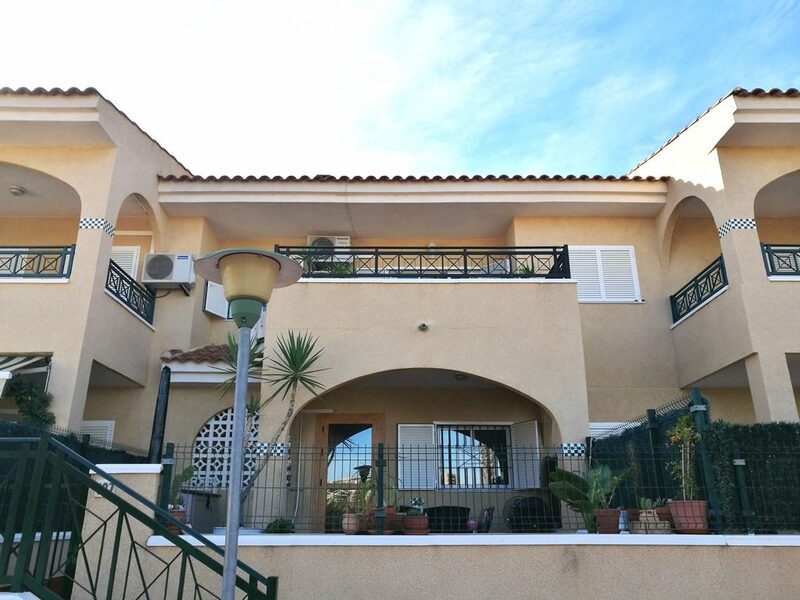 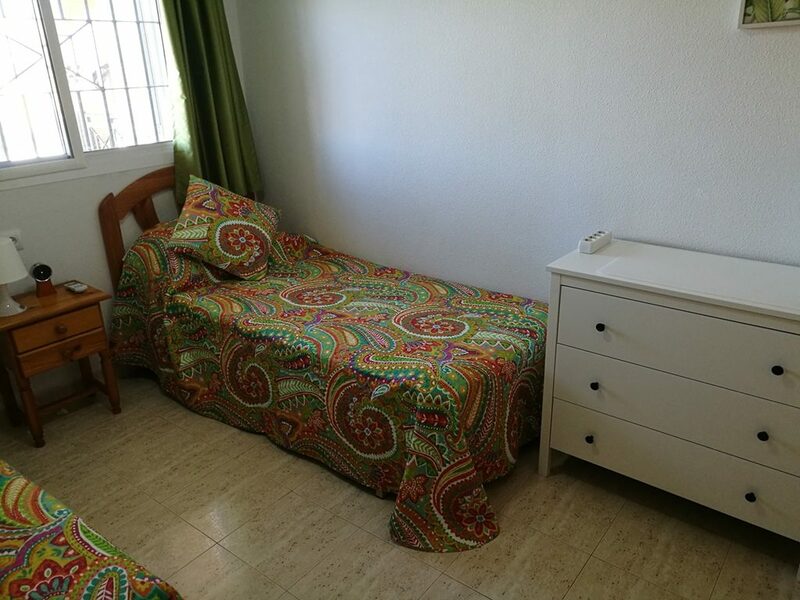 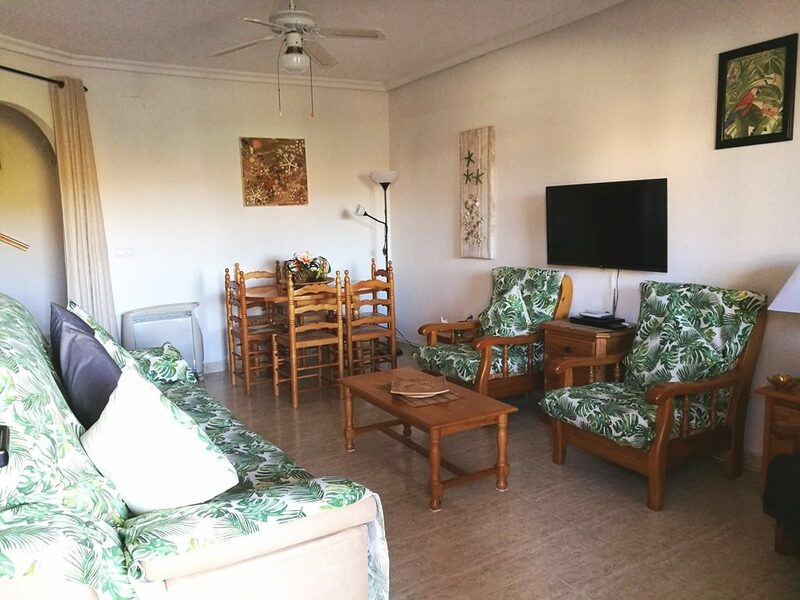 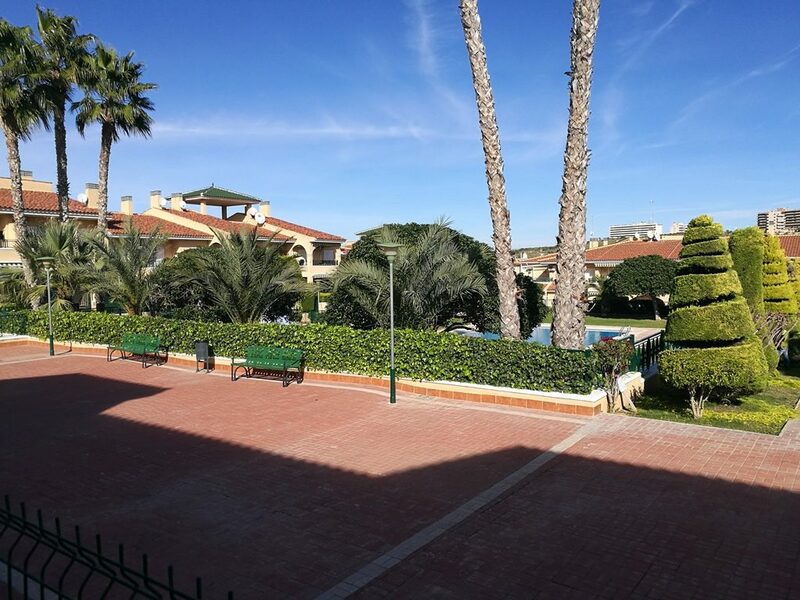 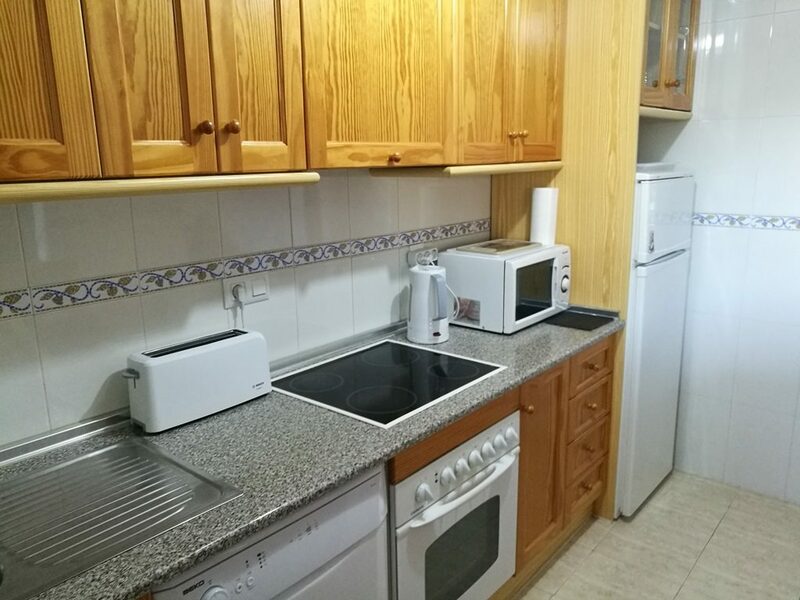 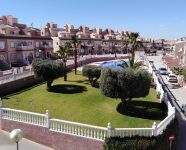 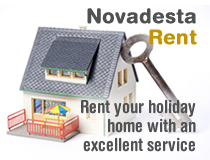 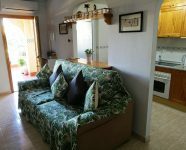 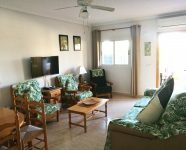 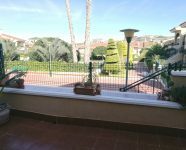 Cozy house with WiFi on Novamar 1 in Gran Alacant | Novadesta: Vakantievilla huren in Alicante, Vakantiewoningen aan de Costa blanca Spanje, Vakantiehuisje in Gran Alacant, Santa pola, Alicante. 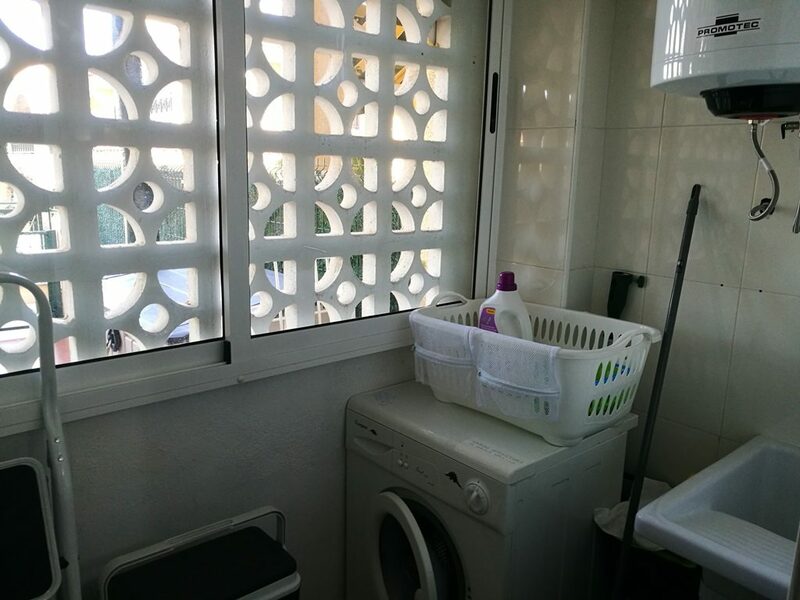 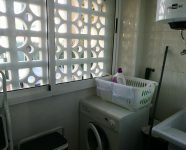 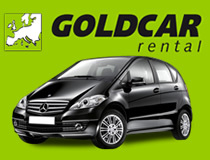 Verhuurservice´s regio Gran Alacant, Santa pola, Alicante, Costa Blanca. 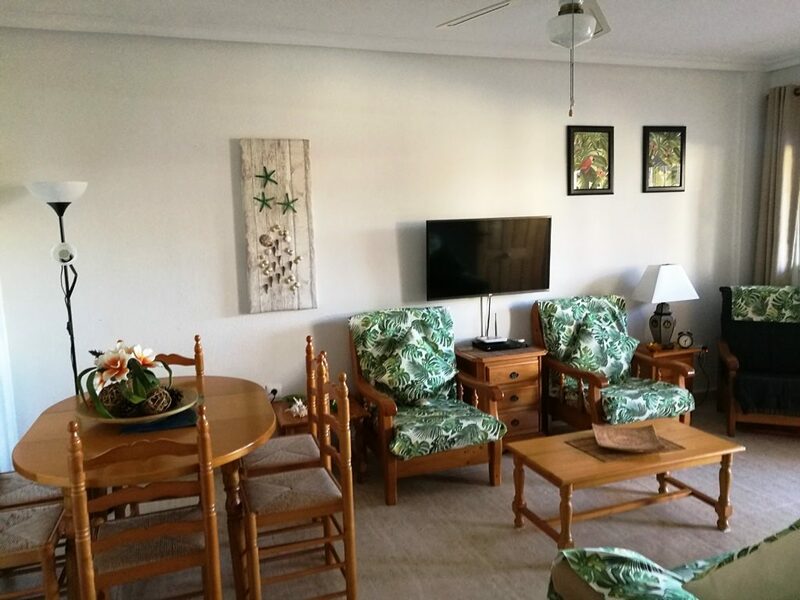 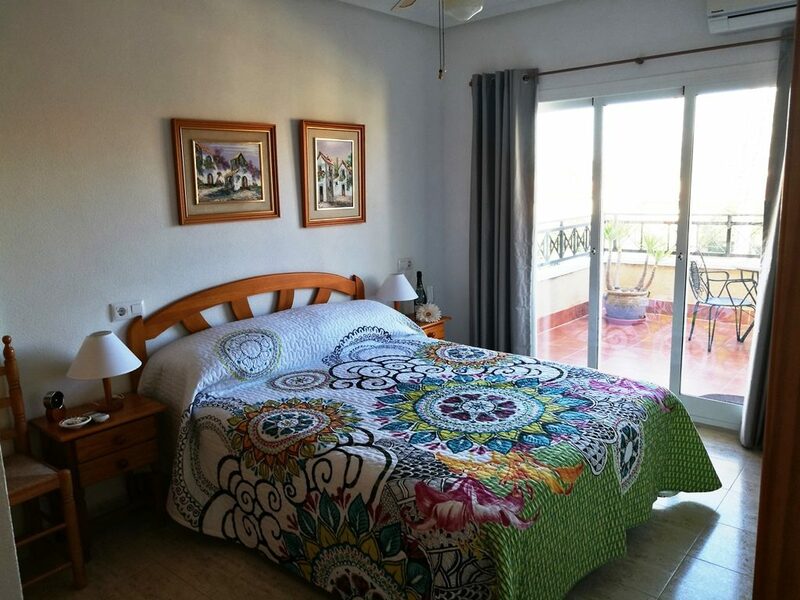 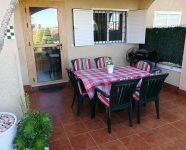 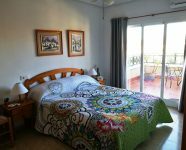 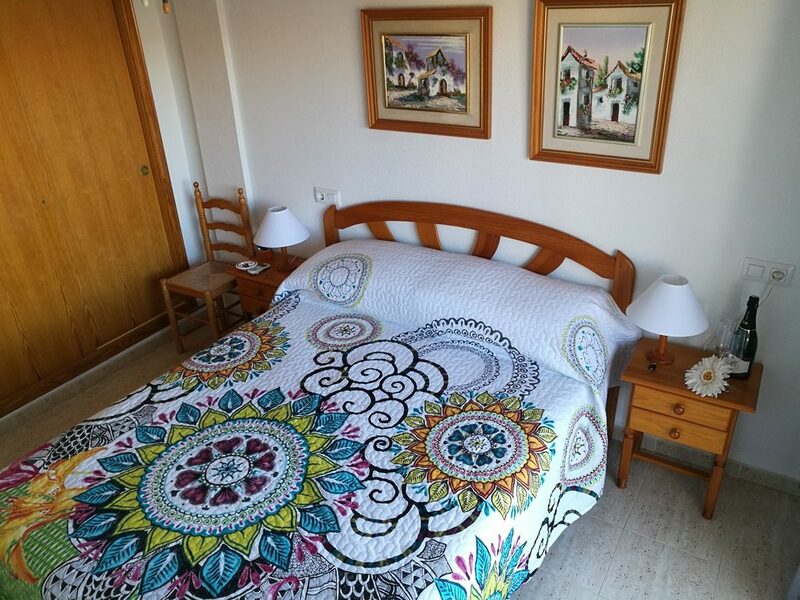 This cozy house is located on urbanization Novamar 1 in Gran Alacant. 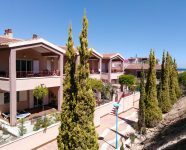 From the garden you have view on the communal swimming pool and from the balcony also view on mountains. 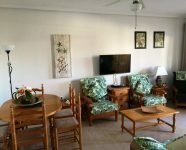 There is free WiFi and there is Air Conditioning (hot/cold) in living room and bedrooms. 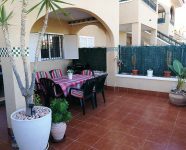 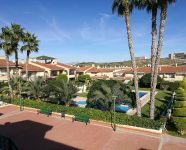 There is a spacious, fully tiled garden with view on the communal pool, with some pot plants, garden furniture, parasol and barbecue on gas. 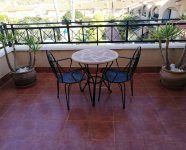 The garden is North-East facing, so you can have your breakfast in the morning sun, which is perfect for in the hot summer months. 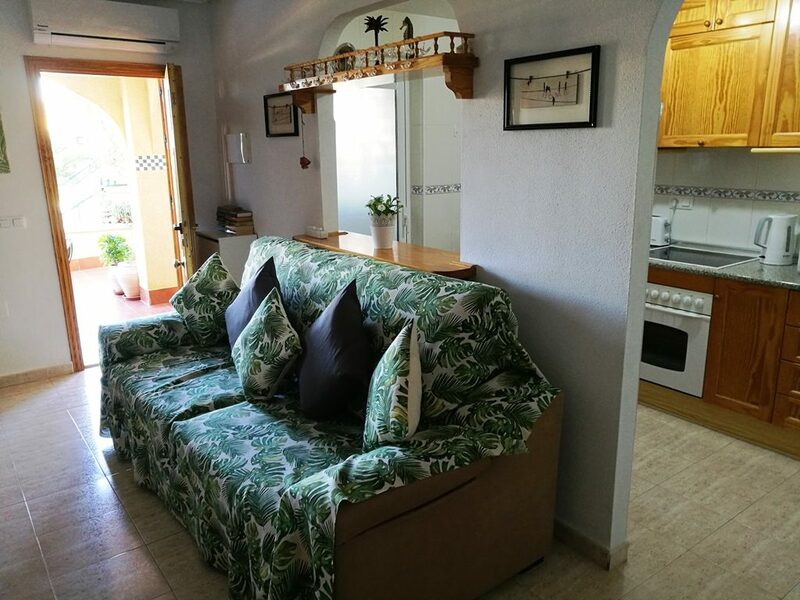 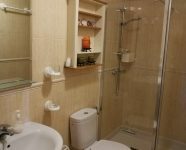 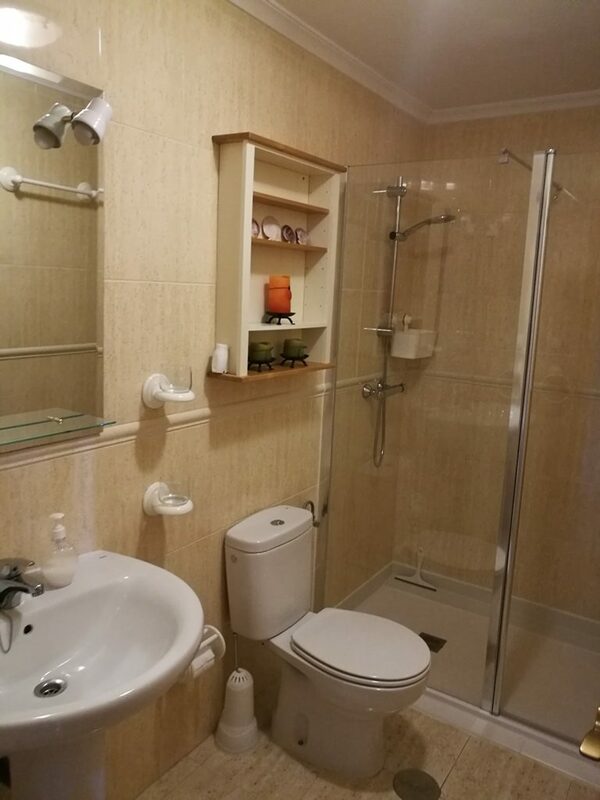 On the ground floor you enter the cozy and nicely furnished living room with dining area, open style kitchen that is fully equipped, next to the kitchen there is a separate laundry room with the washing machine and electric boiler and there is a bathroom with wash basin, walk-in shower and toilet. 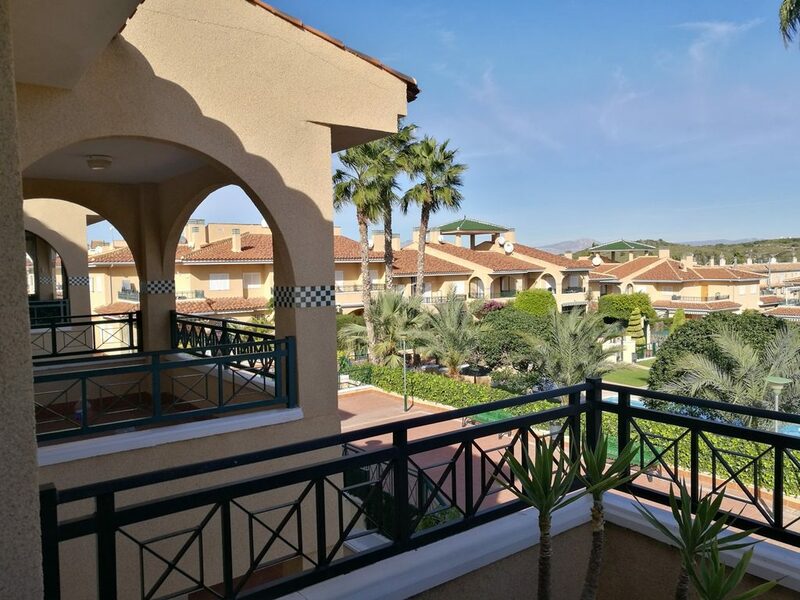 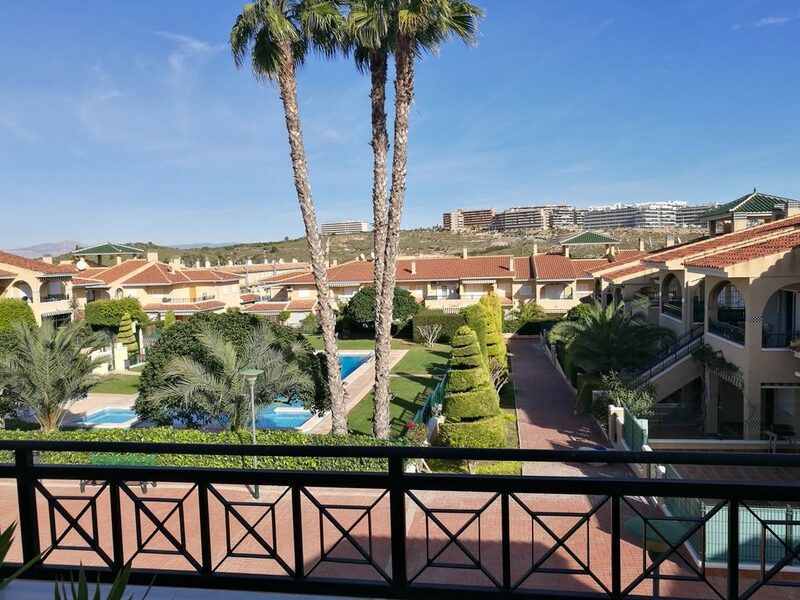 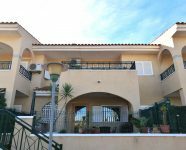 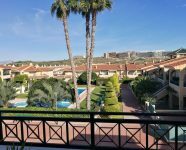 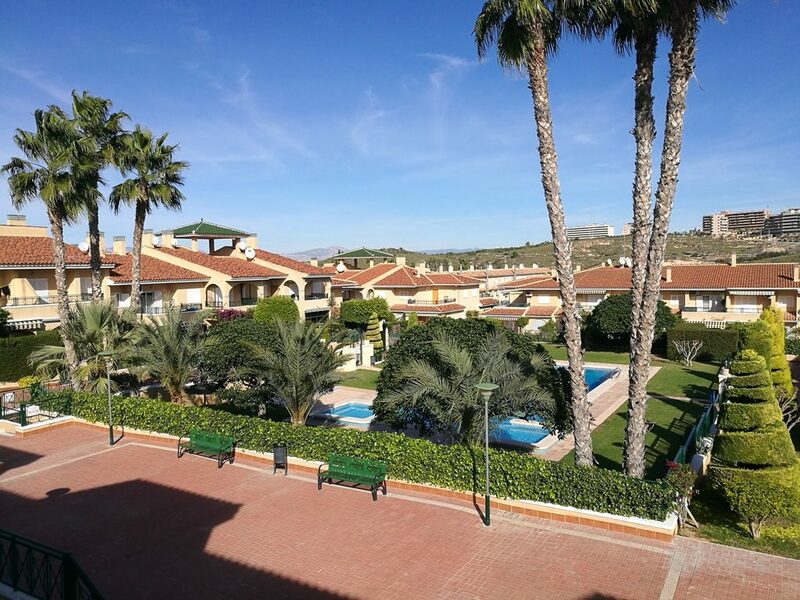 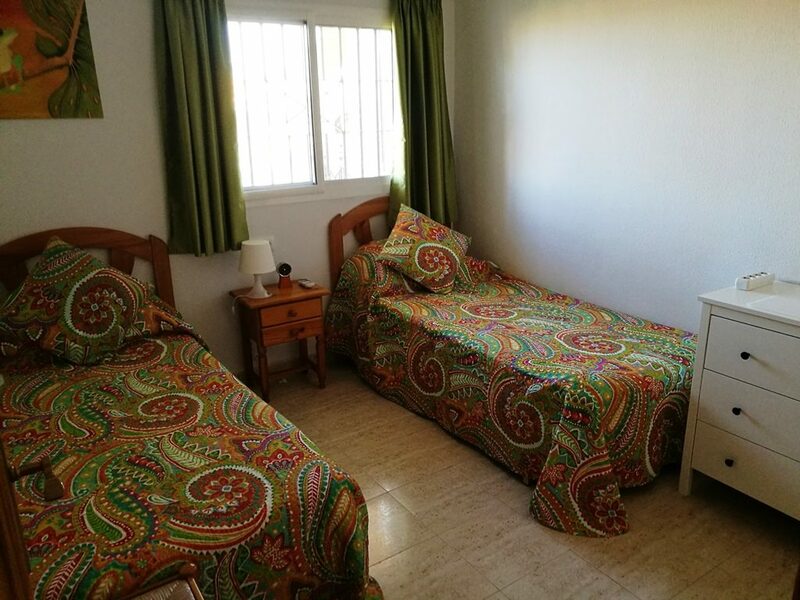 On the 1st floor are 2 bedrooms, 1 with a double bed, built-in closet and access to the balcony by sliding doors where you have beautiful views on the communal pool and mountains. 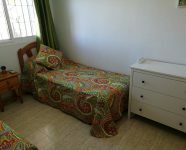 The other bedroom has 2 single beds, built-in closet and there is a trundle bed for 1 extra sleep. 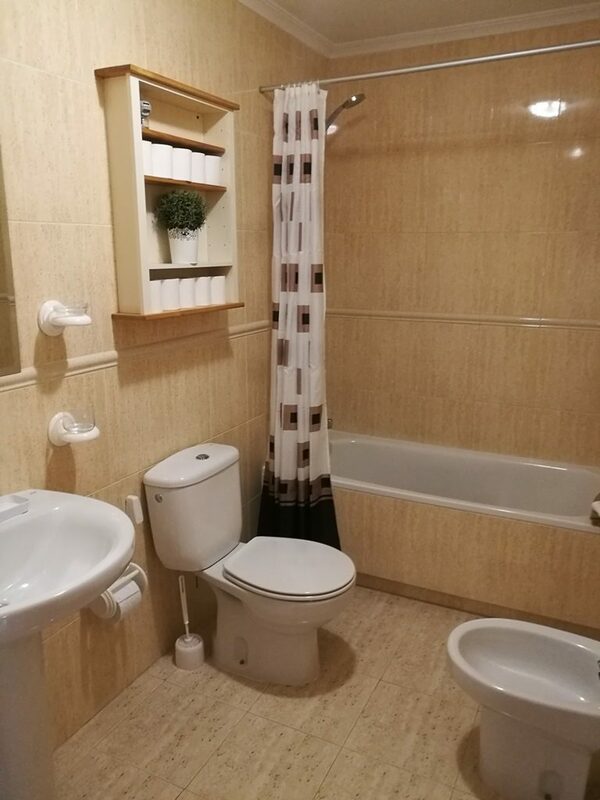 There is a bathroom with bath, toilet, bidet and wash basin. 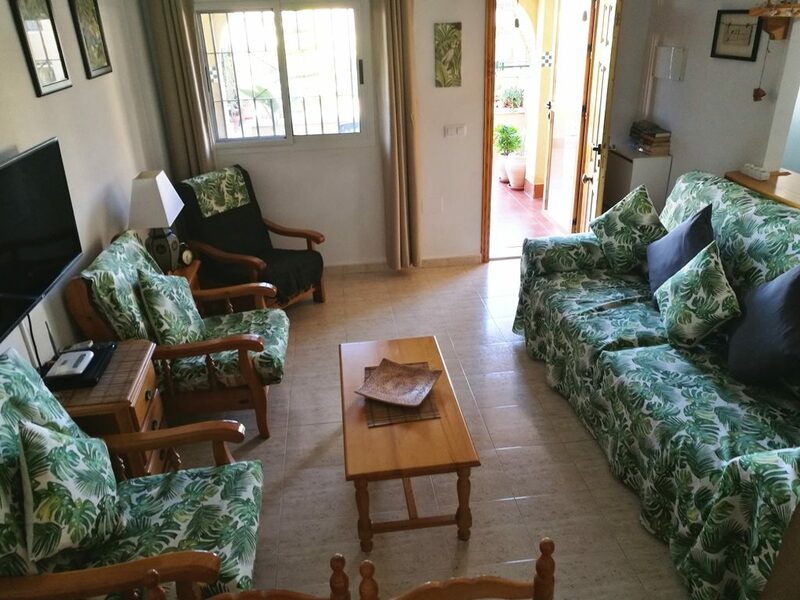 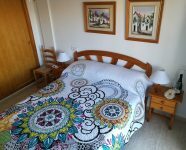 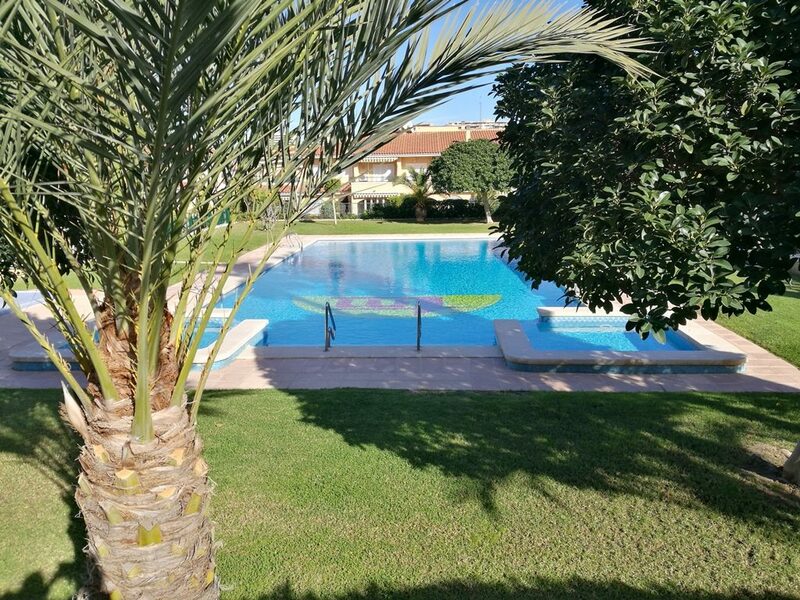 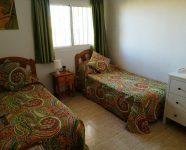 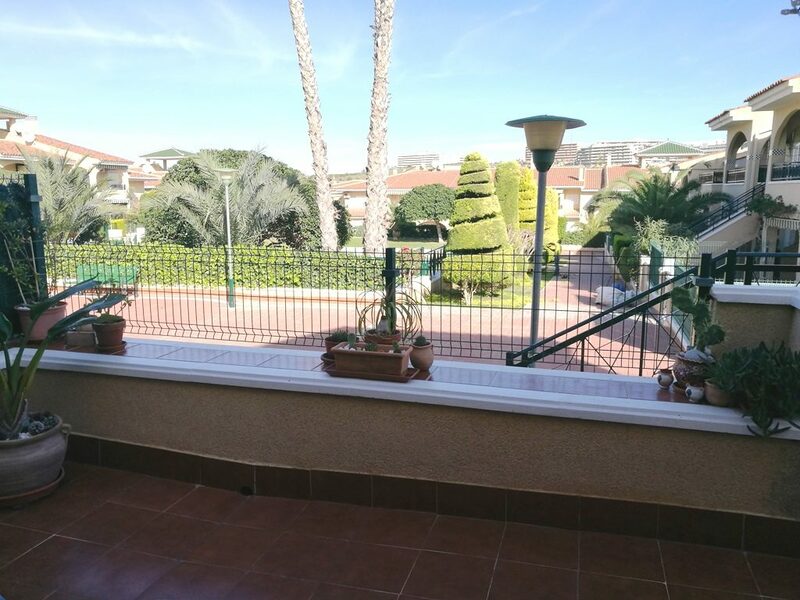 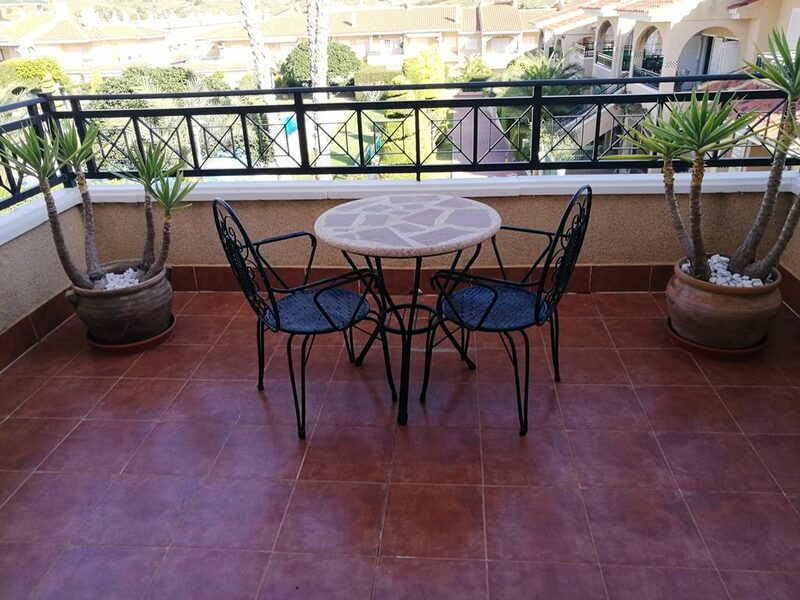 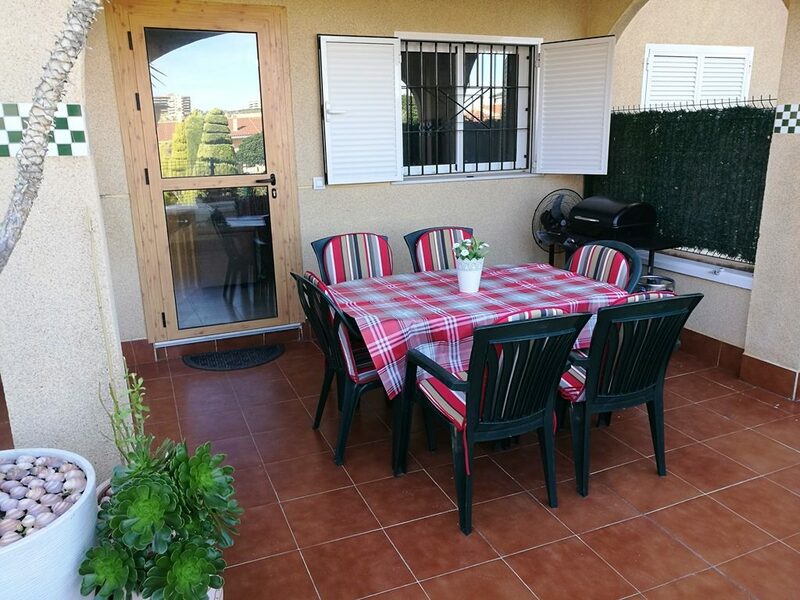 This is a lovely house for a very relaxing holiday, only 900 meters from the beautiful Carabassi Beach and on short walking distance to bars, restaurants and a small supermarket. 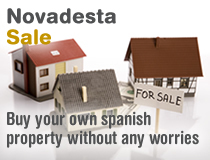 The bigger supermarkets (Lidl, Mercadona) are on the Gran Alacant commercial centre 2,5 km from the house.